For today’s edition of Dear Mark, I’m answering four reader questions. First we have a question about an inadvertently fasting 11 year-old girl whose mom is concerned. Should she force the issue and convince her to eat breakfast, or let her do her thing? Second, what’s the real story behind rinsing raw meat? Does it actually remove bacteria and reduce the chances of food-borne illness? Third, is glutamic acid, or glutamate, really a health concern for everyone? MSG is one thing, but what about glutamate found in real, otherwise healthy foods like meat, sardines, and aged cheeses? And finally, I discuss whether or not hitting the snooze button is good for you. I have a question about IF & children. My daughter has always had a natural tendency to extend her fast from dinner through the better part of the next morning (sometimes until lunch time if I don’t say anything). 1. Their body knows best. If they don’t want to eat, they probably don’t need the food. Kids are usually less “corrupted” by years of living in the modern world, and their satiety mechanisms are more likely to remain intact. However, this may not always be the case. 2. Forcing a kid to eat can create a difficult relationship with food that lasts well into adulthood. This would be bad. Food fights, unless you’re talking about the dinner scene from Hook, usually end badly. But there’s some evidence, albeit just epidemiological, that children who regularly skip breakfast are at a higher risk for type 2 diabetes. I’d say as long as your kid doesn’t have the other characteristics associated with type 2 diabetes, like being overweight, having no interest in physical activity, and/or getting lots of screen time on a daily basis, and skipping breakfast isn’t leading her to gorge on junk food when she actually does eat, you don’t have to worry much. That said, kids often do well with breakfast. Mine certainly relished theirs and really seemed to thrive with breakfast. She may be doing fine, but what if she’s even better with a solid meal for breakfast? As you say, they are growing and they do need the nutrients and if they’re unable to squeeze them in on a truncated eating schedule, breakfast could really help. You might try eating breakfast in front of your daughter on a regular basis. Just eat something delicious and make it clear that you’re enjoying your food. Bacon, omelets, fruit, Primal pancakes (assuming she’s Primal), just eat something good. You probably don’t even have to explicitly offer the kid any; she’ll want to do what mom’s doing. That’s how (many, perhaps most) kids work. Mark, would like your opinion on the topic of washing raw meat before cooking? Proponents claim it removes bacteria while opponents claim it spreads the bacteria on the surfaces where the water splashes. Is it really necessary? Thanks. It’s totally useless. The USDA, who are usually real sticklers about food safety and tend to err on the side of so much caution that it ruins good meat, recommends against rinsing meat. It’s worse than useless, even; rinsing meat absolutely can and does send bacteria spraying all over your kitchen. Besides, for it to really remove all the bacteria, you’d have to use soap and get it all sudsy, which is really disgusting to even imagine. The cooking is enough. You’re worried about surface bacteria, right? Any surface bacteria is killed during the application of heat. You sear a steak on both sides and the bacteria (if there any actual pathogens to worry about in the first place) is nullified. And from a culinary standpoint, it’s counterproductive. The last thing you want to throw on the grill is a wet, soggy, sodden piece of chicken or beef. Get that sucker as dry as possible and skip the rinsing. First I’d like to say how much I appreciate the quality and professionalism of your blog. 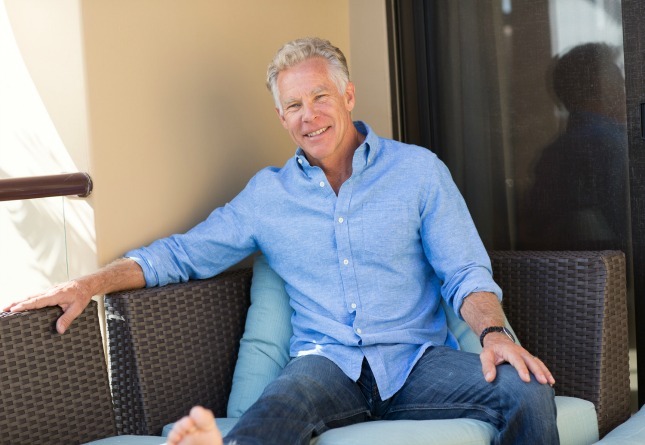 Among its many functions, MDA serves as an exceptional aggregate of valuable information, and for this reason it’s the first place I go when looking for nutritional guidance. How should we treat glutamic acid? There’s quite a bit of anecdotal information on the internet supporting a move away from it, but is it truly a concern? And what does this mean for overall protein consumption? It’s present in relatively high quantities in protein powders, as you know, but also in my favorite food: sardines. Thanks, Kellan. Glad to hear the blog is working for you! I’ll make sure to keep it up. Glutamate (or glutamic acid, as you say) is a naturally occurring amino acid found in lots of our favorite foods. Meat, fish (especially fish sauce or as you said, sardines), shellfish, mushrooms (which is why they make fair meat substitutes), and dairy (especially aged cheeses like pecorino romano or parmesan or gouda) all contain appreciable amounts of glutamate, which provides the umami, or savory/meaty flavor we find so appealing. Our guts really like it, too. Literally: glutamate is an important energy source of the cells lining the gut. Whether it comes from our food that was spiked with MSG in the kitchen, we dipped our chicken skewers into fish sauce, or the partial digestion of the protein bonds in the meat we just ate yielded up some glutamate, our guts are set up to detect and utilize free glutamate. Most human studies involving large oral doses of MSG are unable to increase plasma glutamate levels because the guts cells are consuming the bulk of it before it can go anywhere else. If we weren’t ever meant to consume glutamate or foods that naturally contain glutamate, we wouldn’t have such a natural appetite for it. Plus, there are definite benefits to glutamate. It can increase appetite and improve digestion, especially in chronic gastritis patients with low appetite and poor digestion caused by impaired gastric secretion. And that’s using MSG, the “evil” stuff. But perhaps the coolest way to use glutamate is as a training tool to condition people to like novel flavors. Splashing some fish sauce onto bitter greens can help people learn to enjoy the greens, even after the source of glutamate has been removed. Any parents with picky kids want to give this a shot and report back? I think there are glutamate-sensitive populations who may need to limit the amino acid, though. Autism: Researchers have identified an imbalance in the brain levels of glutamate and GABA — too much of the former and not enough of the latter — in many autistic subjects, and some parents of children with autism have noticed beneficial changes after removing concentrated sources of glutamate, like MSG or fish sauce. Migraines: Glutamate is a common migraine trigger. If you suffer from migraines, give a low-glutamate diet a shot for a month or so. Can’t hurt, right? In one study, MSG in a meal increased the onset of subsequent hunger. People who had MSG in their soups got hungry faster. Maternal MSG consumption may impair appetite regulation in offspring. In healthy adults, MSG intake has been positively linked to the development of obesity. Glutamate is an indicator of protein, a valuable nutrient. When glutamate is divorced from the nutrient it’s supposed to indicate, the appetite may be excessively stimulated — as the above studies suggest. As long as you’re actually getting protein when your body senses glutamate, I see no reason to avoid it. I wouldn’t worry, honestly. If your favorite food is high in glutamate, and you presumably consume your favorite food regularly without ill effect, keep on doing it. I’m not a big fan of worrying about “silent damage” without considerable supporting evidence. It does more harm than good. Really hoping you can settle a debate between me and my girlfriend. We are both aware of the importance of sleep, and most days we are lucky enough to wake up without an alarm clock. But she does one thing that drives me up the wall: on those days where she needs to get out of bed earlier than normal, she will intentionally set her alarm way before that time, then hit the snooze button multiple times (sometimes as many as 10!) before finally getting out of bed. I’ve tried to convince her to just set the alarm for the latest possible required wake up and on the idea that deep sleep is more restorative than repeatedly falling into light sleep and being startled awake. But am I actually right? Is there any chance that her “interval sleeping” is as restorative as a longer sleep? The problem with the snooze button is that every time you hit it and return to slumber, you’re restarting the sleep cycle. You’re not picking up where you left off (which is why falling back asleep to continue that awesome dream never works out), you’re going to bed all over again. And that means you never hit the restorative part of sleep. Instead, you’re being woken up by the alarm over and over again in the part of the sleep cycle that’s hardest to wake up from. Of course, that’s also why hitting the snooze button feels so dang good. You get to fall back asleep when it’s the hardest to stay awake — when you’ve just woken up. One early wake-up when you’re not prepared to get up is bad enough. Ten early wake-ups each morning is pure misery and sends the wrong message to your body. Each time you wake up from the snooze, your body has to “wake up” all over again. This type of sleep fragmentation reduces wakefulness the rest of the day. It’s understandable why we like the snooze button so much. In those early waking moments between sleep and full alertness, our executive functioning — our decision making skills — is impaired. We’re more reliant on our lizard brains, so even if we know that the snooze isn’t good for us in the long run, we punch the button because it feels good in the short term. Congratulations, Terrence. You’ve won the argument. But unless you plan on exclusively using the bedroom for sleep, I recommend against celebrating too publicly. That’s it for today. Thanks for reading, everyone! Take care. Next post >Can Getting Your DNA Tested Help You Optimize Your Diet and Training? I want to comment re kids skipping meals. My 12 y.o. has taken to skipping lunch, which of course sent me off on a worry trail about potential eating disorders, body image, etc. However; I’ve become convinced that she’s telling the truth when saying “I’m just not hungry,”…so I looked at what has changed, and what has changed is her breakfast! As we went primal, I made a (silent) commitment to give my kids scrambled eggs and avocado for breakfast. Combined with a snack break before lunch, I think that’s keeping her satiated until I pick her up at 3:15. My mother always said that children were put on earth to keep the parents in line. Response to Beth – I was one of those kids who never wanted to eat breakfast. It was a constant battle with my parents by the time I was in high school. Breakfast made me feel ill, especially as I was cycling to school immediately afterwards (of course, it didn’t help that my breakfast options were cereal or toast). The minute I left home at 18, breakfast went out the window and I just ate when I felt like it, sometimes mid-morning, usually not til lunch. I am now 43, and never eat breakfast, and feel much better for it. I exercise in the mornings, drink coffee, and have a hearty appetite for both lunch and dinner. I’d say if your daughter is not showing signs of an eating disorder (ie skipping breakfast because she’s scared to gain weight), and since you have the advantage that she’s at home and can start nibbling whenever she gets hungry, I’d vote you try out her own eating schedule and see what happens. I, too, get nauseous just thinking about breakfast some mornings and always have. I need a little while before I want to eat, anywhere from 3 to 7 hours. I have tried forcing myself to eat breakfast for extended periods and I just end up gaining weight since it makes me hungrier throughout the day. Regarding risk factors for Type 2 diabetes: it’s possible to be really skinny and active and still develop Type 2 diabetes. My father-in-law was very thin and walked up to 10 miles a day for most of his life as well as being a very active gardener, digging, hoeing, pruning, and chopping. Even after he was diagnosed with diabetes, he remained thin. He was active until the last two years, when his disease had progressed to severe eye and kidney damage – he went blind in one eye and lost most of the vision in the other. He died of end-stage renal failure. He ate what he considered a healthy diet: red meat and eggs a few times a year, lots of chicken and fish, no butter, lots of olive oil, 1% milk, lots of fruit and a fair amount of veggies. However, the fruit for breakfast went on top of (wholegrain) waffles doused with maple syrup. He ate several chunks of bread with every meal, usually wholewheat bread. He had pie or cake with lunch and dinner, and sometimes a bowl of fat-free ice-cream with another pile of chopped fruit for a mid-afternoon snack. There was pasta or rice with every dinner. He took his diabetes medication religiously. While I wouldn’t force the child to eat, I would do as Mark suggests and eat a small, healthy breakfast in front of her, making sure there’s enough to share. Ask her to sit with you while you eat. She’ll start picking and nibbling! It might be worth checking her fasting blood sugar levels a couple of times on different days. How late does she eat at night? Maybe that meal could be ratcheted forward a couple of hours. I have read that 40 per cent of people with type 2 diabetes are normal weight. It is not the obesity that causes diabetes, it is the excess fructose consumption that causes metabolic syndrome. In some people the manifestation is diabetes or obesity, in others, the excess fructose consumption leads to hypertension, non alcoholic fatty liver disease, dementia etc. Our liver can only cope with 15g of fructose per day, before it starts to get overwhelmed. the “how late does she eat at night” question is key. eating breakfast sets up your hormonal cascade for the day, especially with regard to leptin. if she’s eating less than 3 hours before bedtime, she’s going to bed in an insulin-active state, which means that her body isn’t able to do all the work it needs to do at night, because the hormones required to stimulate it can’t function in the presence of insulin. try shifting dinner to at least three hours before bed, and no snacking between dinner and bed – she’ll be hungry in the morning! it will make a big difference in how she gets through puberty and what her weight is like after puberty. i don’t work paul, we’re colleagues and i really liked how he laid all the information out in this audio course. A personal anecdote, but I definitely feel much less rested on the days where I end up snoozing the most! Makes total sense with sleep cycles and how rhythm and restoration is set. The conventional chicken breast I buy always seem extra slimy so I make sure to rinse them and then pat dry before seasoning and cooking. Maybe I should watch out to make there is as little splashing as possible? Anyone know why my chicken breasts are slimy? I have noticed if I buy organic ‘air-chilled’ breasts they generally aren’t slimy at all. I don’t know for sure, but I would guess it is because they were previously frozen, so the water + chicken = “slime.” I just pat them as dry as possible, no rinsing. Then brine them so they aren’t totally dry :). I send my daughter off to school without breakfast. She is not hungry at 7:10 before the bus comes. They have “lunch” at 10:30. I figure that is our normal breakfast time. But I still fight some mommy guilt for not making her eat before school. Not that I would do this but I figure her waiting to eat her packed lunch is better than the kids starting their day on a sugar high of pop tarts and donuts. Mark, my man, you are wise beyond your years! I would seriously just sleep in another room. Hitting the snooze over and over is inconsiderate and selfish. It’s just plain cowardly too. She should “Man up” and get out of bed when she’s supposed to. +1 I cannot imagine how much hitting the snooze 10 times by my partner would hack me off. Totally selfish. I set my alarm one snooze before I need to wake up and use the time (4 minutes) to boot my system. I find my morning goes much better if I have some time to reconcile myself to awakeness, stretch, review the day, and basically all around activate my limbic system before expecting my body to function well in vertical format. I use the second alarm as my cue to get moving. About once a week (usually when I am awakened from a dream) I fall asleep during this time, and then do an accelerated boot up when it goes off again and am usually out of bed well before the third alarm. About once a month I’ll fall asleep twice, but hey. Anything that happens once a month can’t be killing you too quickly! That said, pushing the snooze 10 times is just wasting either good sleep time or good paper-reading time. Snooze once or twice and move on with your life. I’m not a morning eater and neither is my son, however, he eats a lot more carbs than me so he can have pretty bad “crashes” where he’s OUT of food, his ability to function mentally and emotionally is GONE. So I gently force him to eat something on behalf of his teacher. I also send snack food that is protein/fat heavy so that he’ll make it until lunch. I also make sure his dinner and night time snacks are full of protein and fat so that he won’t wake up without enough food. He is 12 now and seems to be getting enough food and can feed at will when he is home. He wasn’t a morning eater even as a baby so it may just run in the family. I was happy to get rid of breakfast when I finally quit listening to CW, always got a tummy ache w/in a half hour of eating. I’d fix bacon and eggs for the boy in the morning but he is REALLY not interested in good food that early in the morning, been there, done that, don’t like wasting the food. He’s good with some milk or yogurt and out the door. 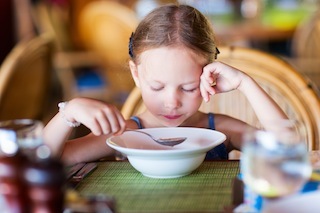 When I hear talk of it being a problem that kids and teens are skipping breakfast, I tend to think that the problem is that their hunger leads them to eat unhealthy foods, and not the skipping of breakfast itself. On the migraines, if you haven’t completely eliminated grains(esp wheat) and processed junk I wouldn’t go straight to eliminating glutamate. I used to get migraines but I just follow normal paleo and I am cured. I guess that doesn’t bode well for me, as I wake up three times each night to walk to the bathroom to pee. I hate the snooze button!! Why set the alarm if you know you’re not getting up yet?! Doesn’t make sense to me! +1 Amen. Set the alarm and get up for heavens sake. Re: Terrence and the alarm that never ends! I am the type of person that used to hit the snooze over and over. Having Sleep Apnea it is hard enough to feel rested without getting up early. Here is my recommendation of something that has worked better than I imagined it would. Get her a Pebble Smart Watch or an UP Activity tracker. Both of these have the ability to be set up with a sleep tracking smart alarm. It allows you to set a desired wake time along with a window of 30 minutes to an hour before. Then they use accelerometer/gyroscope based sensors to track your sleep phases and the band or watch will use a vibrating alarm to wake you when you are in a lighter sleep phase. No more snooze, no loud alarms, and you wake up feeling better! If you have a newer smart phone (one with the movement sensors) there is an app called “Sleep Cycle” it does the same thing, just put your phone next to you on the bed. It works pretty well and is probably less expensive than the trackers – then if you really like it get a cool device. Good point! I found that the vibrations on my phone were less likely to wake me compared to a wrist worn device. I also have enough trouble finding time to charge my phone without it being in use at night. For me, purchasing a separate device has been well worth it. My “alarm” goes off (it’s the radio) and I’m ready to get out of bed since I typically wake up from one hour to 15 minutes before it goes off. I am a morning person so 4:30 is a great time to get out of bed. However, it makes for a pretty boring me after 8 or 9PM, don’t even think about asking me any hard questions after 8PM. Regardless of whether you feel like eating, the body does well with routine (80/20 rule) and I think breaking your fast in the morning is important. As a teenager, I rarely ate more breakfast than a yogurt. As an adult, I do not feel completely awake without it in my system. This may have to do with the fact that I’m not heading off to a relatively inactive (classroom) place, but have to cold press my road rage just tackle morning traffic. Honestly, if you wake up very hungry every day I’d be concerned, but just as much so if food is never interesting in the morning. After high school, I found out I had adrenal fatigue and decreased cortisol that definitely affected my relationship with breakfast. To all of the moms worried about kids and breakfast let me give a counter opinion… When I was a kid, my granny always made a point of making me have breakfast. I avoided it when I could. My stomach wakes up a couple of hours after I do… really. Anyways, after granny forced breakfast, I would spend the rest of the morning feeling miserable: nauseous mostly, but sometimes I even felt the need to puke. I now allow my kid to have breakfast if he wants or feels like it. He does about 1 out of every 3 days. I don’t worry, he eats when he feels like it, he eats plenty and he eats clean. And he is growing alright. My alarm app has 2 buttons – “snooze”, and “I’m already awake”, I deliberately leave the phone on a table away from the bed, so I’ forced to walk over and turn it off. I’ll have to try bitter greens with a “sauce of glutamate”. I’ll stick to fish sauce. I’ve made the mistake of using bought stock with various euphemisms for MSG, and it makes the food delicious but unsatisfying. The worst part is, the more you eat, the hungrier you get, and the effect can last a week or two. Last time it made all my pants shrink! When my phone alarm ring i’m ready to wake up, i dont know but after that i cant sleep as well as before. Also the weather is affecting my sleep time may be it cause to me push too much to the snooze button of my phone alarm clock..
My 6yo skips breakfast regularly. I offer it but don’t push it. It’s one less thing for me to do 😉 Lunch is at 11:30 at her school so I don’t think she’s starving in the morning. On the breakfast thing. Please don’t force your kid to eat when she is not hungry! I have never wanted breakfasts myself, and spent my childhood figuring out ways to dodge it. My mother had been taught that breakfast was important, too… But if I have breakfast, I am either sleepy or nauseous afterward. Neither of these are optimum ways to face the school day. My two daughters are each different. One wakes up ravenous every day, and must have a huge breakfast immediately! The other is like me, and would much rather wait until she has been up for a few hours, and then gets hungry. I have let them both match their own patterns, and they are both doing fine. Well, that explains why it’s so hard to kick the snooze button habit, even when I know it’s bad for me. My 12-yr-old has never been much of a breakfast eater. If she gets hungry at school before lunch, she can always raid her lunch box between classes. A slice or two of bacon, from her lunch, ought to tide her over nicely. The school my daughter went to last year would give the following advice on standardized test days “Make sure your child eats a good breakfast, unless they normally skip breakfast. If your child normally skips breakfast, let the child decide about breakfast.” Seems they had a child who normally skips breakfast become sick on the testing day because his mom made him eat breakfast. Made them reconsider the “Make sure your child eats a good breakfast.” advice for testing days. That must be why whey protein smoothies make me hungrier. Snooze buttons are the Devil. When literally the FIRST decision you make is to go back to bed, you’re setting a bad precedent for the rest of the day. I’ve truly never used a snooze button. Now that I have one of those Phillips clocks that gradually brightens up to the time I set for absolute wake up, I can’t even figure out where the snooze would be if I wanted it. My only decision alarm-wise is 4:15 if the coffee isn’t set up to automatically go off or 4:30 if I was virtuous and got it all ready to go. Regarding glutamate….when I eat foods that have MSG in them, canned fish, aged cheese, my cheeks and nose turn bright red. It looks like a red mask on my face! 🙁 Could it be glutamate that’s causing this? I also experience this with balsamic vinegar, but don’t know whether it contains glutamate or not. If it *is* the glutamate causing it, would L-Glutamine cause the same problem? Could be the histamine in those foods. I can hit snooze and fall straight back into a dream, almost overlaid on the waking moment, so what’s true for some people is obviously not true for everyone. Have these studies been done on women? I’m thinking we may have evolved a different response because 1. most snooze-users I know are female and 2. constant waking by crying babies means any woman whose sleep cycle resets in that inflexible manner would be adversely affected by sleep deprivation, and that doesn’t carry any evolutionary benefit, whereas ability to drop right into REM or whatever definitely does.